New York–based travel planner Artisans of Leisure has standout experiences across the Mediterranean. Its tailor-made tours to the obvious destinations of Italy, Spain and France provide unobvious diversions, while it also has good on-the-ground knowledge of less-visited Lebanon. Experiences on offer range from private culinary classes with Michelin-starred chefs to appointments with Naples’ best tailors to expert-led journeys through Tel Aviv’s Bauhaus district and antiquity tours of Greece, Turkey, Israel, Sicily and Cyprus. 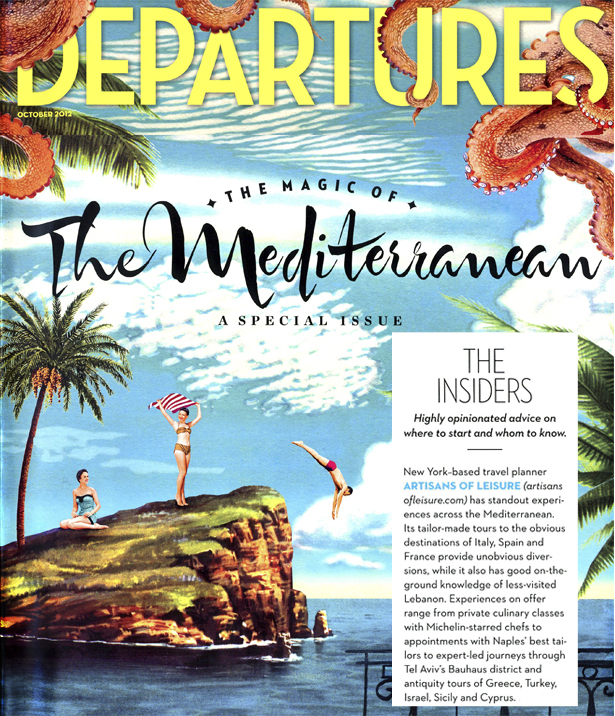 Artisans of Leisure is named a Mediterranean Luxury Travel Insider by Departures Magazine in their Mediterranean destination issue.